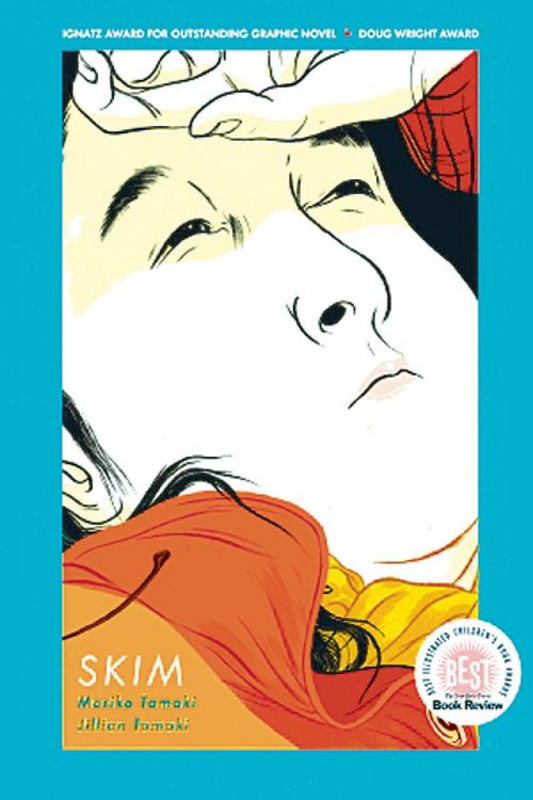 "Skim" is a would-be Wiccan goth who attends a private girls' school in Toronto. When her classmate Katie is dumped by her boyfriend, who then kills himself because he was (maybe) gay, the entire school goes into mourning overdrive. It's a weird time for Skim to fall in love when she starts meeting secretly with her neo-hippie English teacher, Ms. Archer. When Ms. Archer abruptly leaves the school, Skim has to cope with her confusion and isolation, as her best friend, Lisa, tries to pull her into "real" life by setting up a hilarious double-date for the school's semi formal. The whole gamut of teen life is explored in this softcover edition of the 2009 Eisner-nominated, Ignatz-winning literary graphic novel.